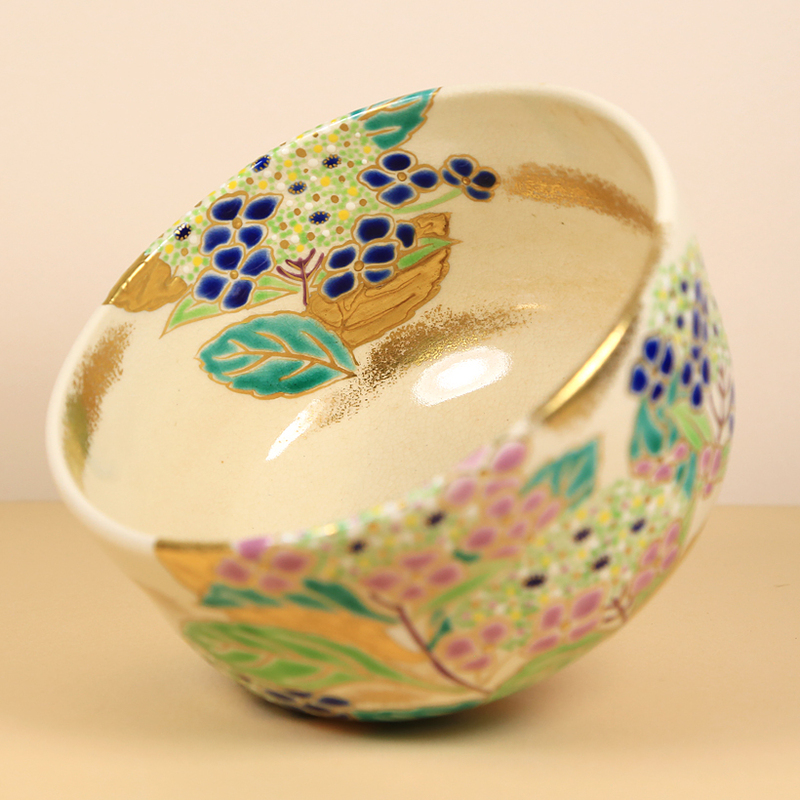 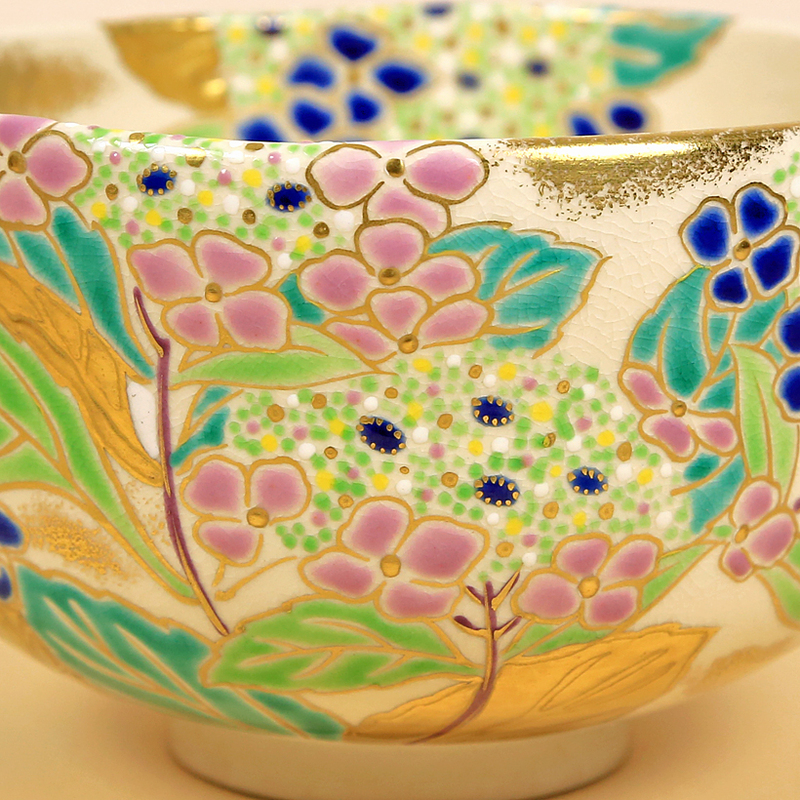 Another very expressive tea bowl featuring hydrangea bushes in their colorful glory. 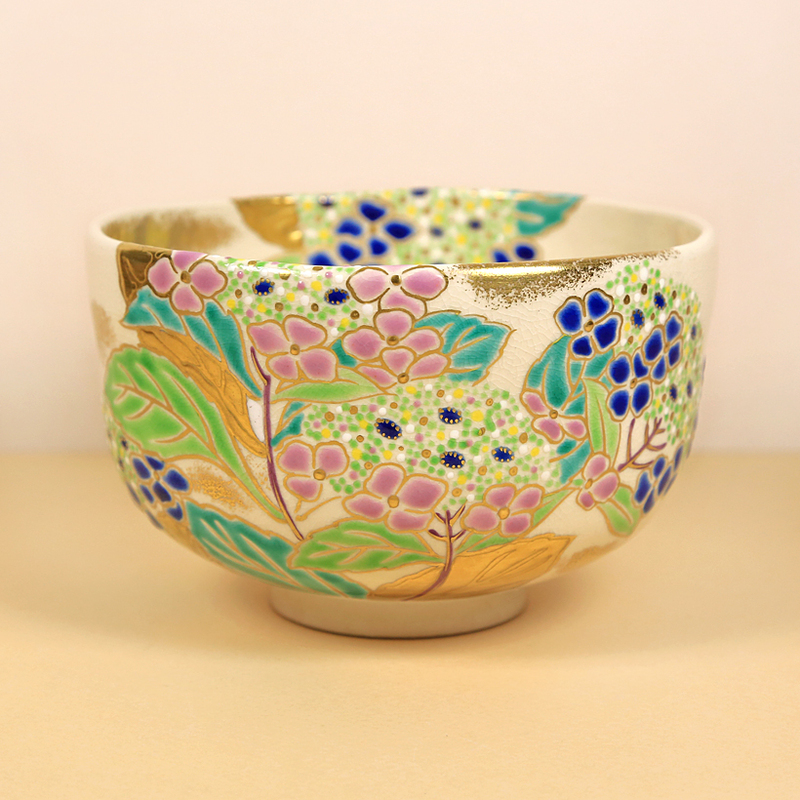 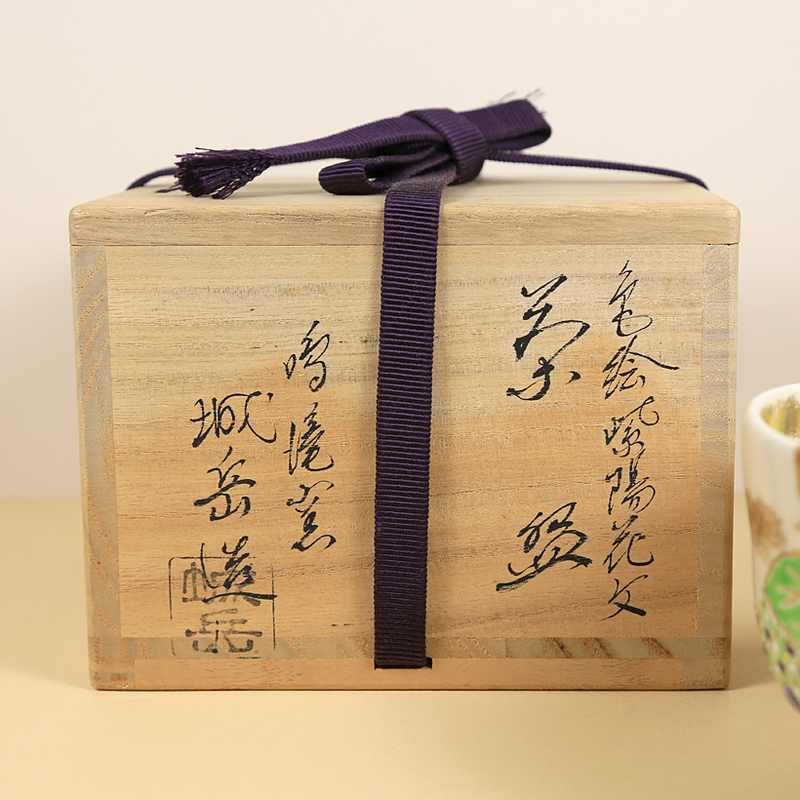 This tea bowl has a joyful and spirited air which is charming. The pastel colors of the flowers along with random dark blue glaze accents compliment the velvety green color of the Matcha in a most pleasing way! 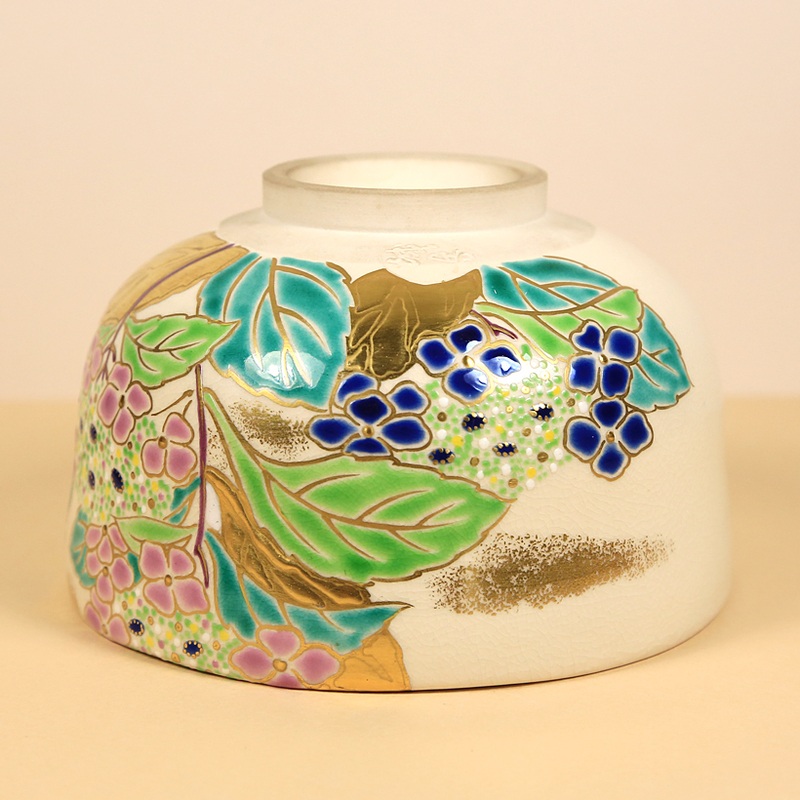 Mr. Jogaku Hashimoto is a famous Kyoto potter and the father of Shiun Hashimoto, another well-known Kyoto potter.